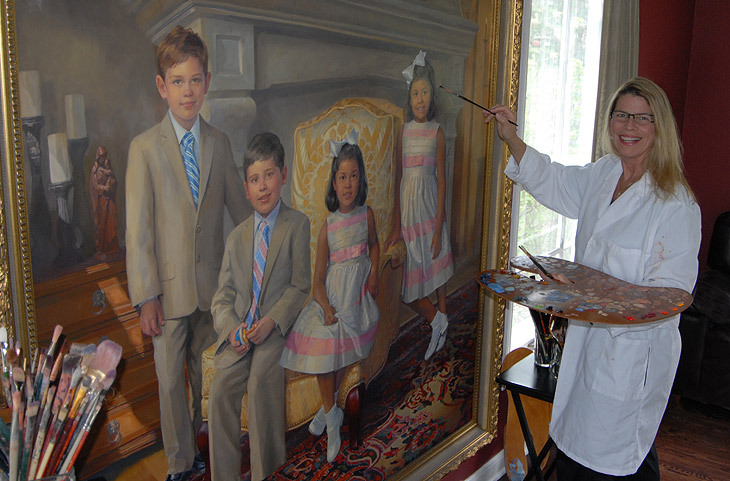 Portraits are painted approximately life size in all views. Framing and shipping are in addition to the price list above. Please allow six months for completion of portrait. 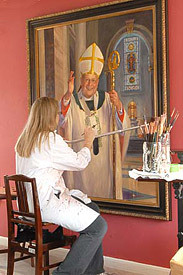 The size of the painting is determined by the pose and the client's needs. Prices above are for one subject only, on a non-detailed background. A deposit of 40% will be due in advance. 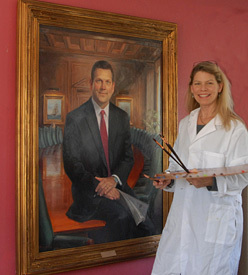 The balance is due upon completion of the painting.